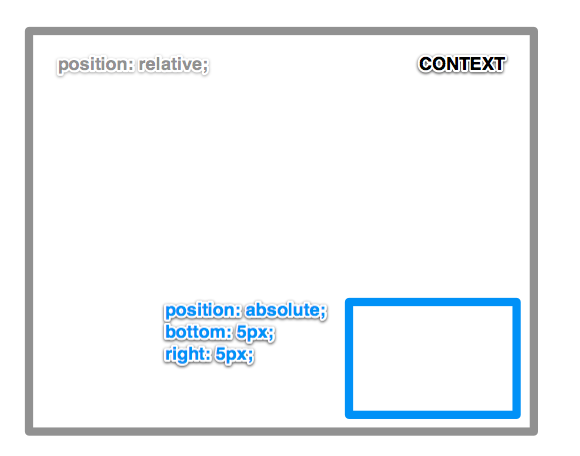 The bottom property in CSS goes hand in hand with positioning. By default, elements are static positioned in which the top property has no effect whatsoever. But when the positioning of an element is relative, absolute, or fixed, the bottom value plays a big role. If you apply a bottom value to an element with relative positioning, it will "nudge" the element that direction. If you apply both a top and bottom value, only the top value will be honored. If you apply a bottom value to an element with relative positioning, it will "place" that element at that value according to its nearest positioning context (meaning: it's nearest parent element with some positioning value other than static, or the document itself). Note that if you apply both a top and bottom value, it will stretch the element to hit both of those values. 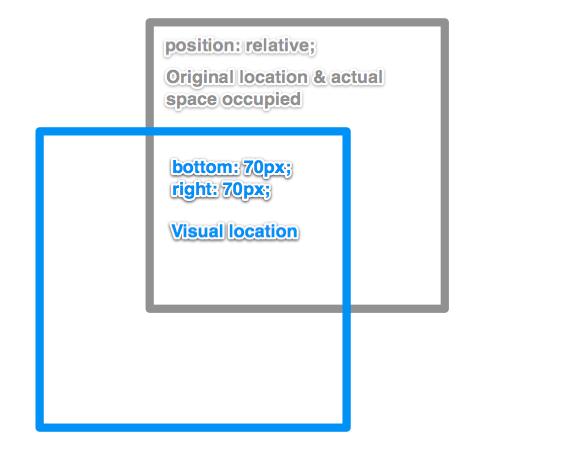 “If you apply a bottom value to an element with relative positioning, it will “place” that element at that value according to its nearest positioning context” – you probably meant element with absolute/fixed positioning, right? if, we place a ‘div’ element using this way.the div element not triggering the hover event.